Maflex was established in the 1980s, as a specialist in the field of assembly and automation and subsequently the injection moulding of plastic and thermoplastic materials. Over the past ten years the latter operation has become increasingly important for the company which currently employs 25 people, has two production sites each with a surface area of 1,500 square metres and a production cycle based on three work shifts, operating 7 days a week when necessary. It is in fact the perfect example of a small-size Italian company, which thanks to the opportunities provided by the 4.0 Industry programme launched by the government has embarked on a series of improvements geared to increasing its competitiveness. Marco Ravazzani Klarenbeek the director of Maflex (based in Carbonate, near Como) tells to Plastix: «Our corporate philosophy has meant that we have gradually come to present ourselves as a partner capable of providing a fully comprehensive service in important fields such as the electronics, automotive, cosmetics, irrigation and electrical household goods sectors, that account for the majority of the turnover, as well as the pharmaceutical, toy and other smaller niche sectors. In order to do this we have learnt to process a wide range of plastic materials, even those of the most technical nature, and we have a modern fleet of injection presses, to which we have added a small clean room for micro-moulding jobs, vertical presses for insert moulding, a micro-injection area and various equipment for assembly, pad printing, ultrasound welding, as well as a workshop dedicated to mould maintenance and assembly operations». You mentioned a modern machine fleet. How is it organized? 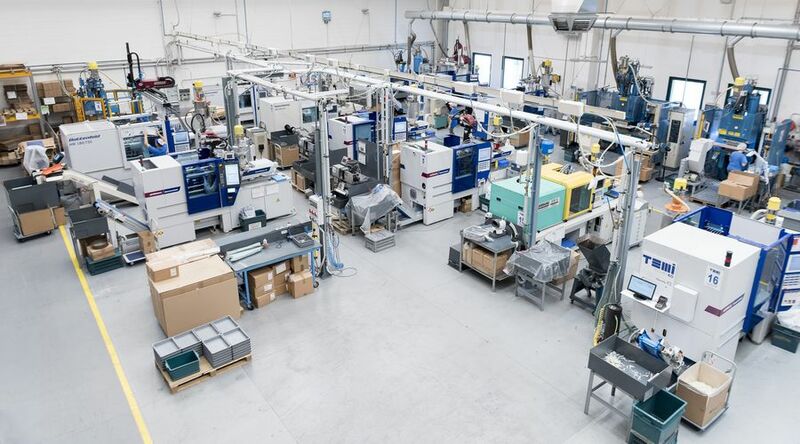 We are currently using 20 injection presses, over half of which have been purchased in the past three years thanks to our very close working relationship with Wittmann Battenfeld, that assures us maximum product quality with products that we truly admire by virtue of their technical features and reduced energy consumption, which is an essential part of our competitiveness. This manufacturer has helped us to enact our strategy geared to the purchase of new and high-performance presses. As far as the more recent machines are concerned, our choice has fallen on electrical or hydraulic models in the Smart Power and Ecopower ranges. Through the new Unilog B8 interface we are able to control the entire cell and monitor the functional state of the press and certain peripheral units. The added value is the possibility of the fullest integration of our presses with the other systems of the production department. 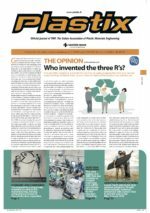 What is your approach to Industry 4.0? For Maflex, taking advantage of the opportunities offered by digitalization has meant that we are able to present ourselves as one of the few truly 4.0 subcontractors on the market. After the first step of purchasing the presses, we needed to make a further step ahead in terms of quality in order to allow us to create a true “factory system”. How is your internal digitalization programme being enacted? 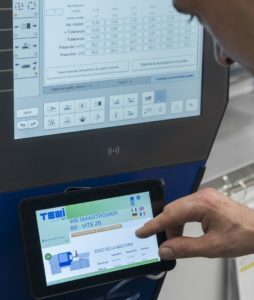 In view of the fact that the most recent presses that we have purchased are already fully comprehensive of the 4.0 package developed by Wittmann Battenfeld, and already programmed for connection, the challenge has been that of adapting the less recent machines to enable them to communicate with the other machines through a centralized IT system. Although the time was undoubtedly right for such a move, there was no previous case at that time perfectly applicable to our own situation. This meant that we have been obliged to research and develop on our own, in the spirit of a small-size company with a clear idea and goal in mind, but without the tax advantages and resources to be able to create a smart factory equipped with complex and costly systems. Being aware of the steps to be taken, we immediately understood that it was the right time to embrace digitalization. This enthusiasm for digitalization is still evident today when we talk to clients, suppliers and competitors alike, everyone is eager to make a move and to get the ball rolling again, after a period of recession which has made the market highly selective and requiring ever greater specialization and bespoke service. 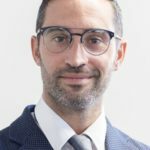 We are finally seeing a general mood of enthusiasm amongst Italian companies that have been influenced by this “German model”, in which digitalization is considered as an economic and innovative impetus. So that we considered that the time was right for us also, with our own means. How can you succeed without having to incur excessive costs for a company of your size? Often the solution offered by large machine manufacturers is a MES (Manufacturing Execution System), a system which has a level of technical complexity that is difficult for small companies to handle as they do not have the staff to exclusively dedicate to them. In my opinion, the SMEs need a tool that is simple to learn and to use, and which does not oblige those companies that have a multi-brand machine fleet of different ages to have to only partially connect up the company. This is why I decided to collaborate with a young company as Ice Flex. After making a detailed study of our needs, Ice Flex developed Temi Plast 4.0, a MES system (currently available on the market) which was in fact initially experimented by Maflex and designed according to the indications we gave on the basis of our experience, but which can be perfectly adopted in companies similar to ours, thereby making it suitable for many small and medium sized plastic processing companies. What requirements emerged during the implementation of this system? Primarily, the need for an organized, simple and non-invasive system with a low impact in terms of cost and employee involvement. In concrete terms, the client requires increasingly detailed product traceability, and Temi allows us to satisfy this need. We finally have the possibility of a fully comprehensive company management system, which has gradually become more flexible and capable of meeting various needs, even while in operation. Allowing us to fully monitor the production shifts and to control operations even during the weekend or at night, providing us with all the necessary information in remote mode in real time, including machine stop reports. This tool allows us to offer our services as suppliers to some of the leading companies in the sector by guaranteeing traceability profiles and performance indicators. So that I can monitor the mould change times, understand through the alarm monitoring graphs the corrections that are necessary even during the actual processing operations, and to access data on cycle and buffer times. Which are all essential production monitoring parameters. Another important factor are the savings made on paper and space we fully intend to eliminate paper, as we can upload all the necessary drawings and parameters in remote mode on the display of each individual press. The operator can enter the quality control checks directly on the monitor which is currently a manual operation that we are in the process of digitalizing totally. This will allow us to have a processing log that is continually updated, and above all always extremely organized. So that we have the complete traceability of the process itself and not only of the raw materials and relative production batch.